The Subaru Impreza - Subaru's popular sedan and hatchback - got a big redesign last year and now an even more improved 2018 model is arriving at dealerships throughout the country! The Impreza is an excellent choice for many buyers, from those looking for a sleek and sporty compact to those who want plenty of cargo space and the reliability of the standard all-wheel drive system. 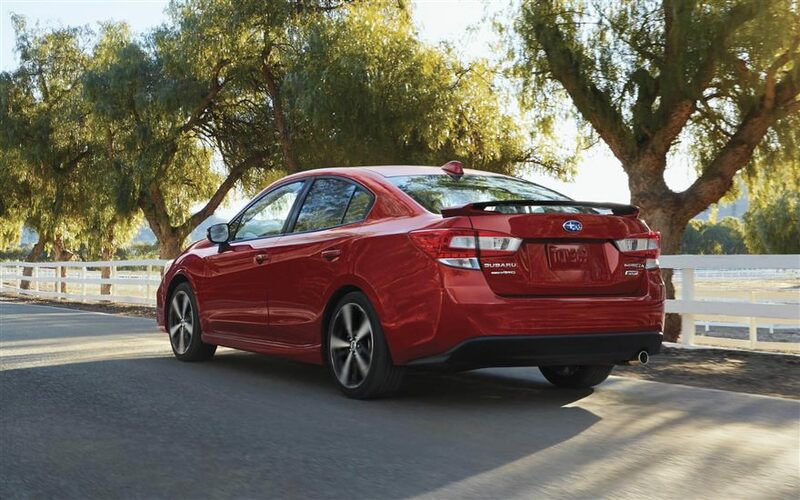 We are just getting the first batch of these exciting new cars, so we invite you to stop by our Briggs Subaru Topeka dealership serving Topeka Lawerence Kansas City, so stop on by if you are looking to take a test-drive in a 2018 Subaru Impreza near Kansas City. We are excited to get a chance to share this great car with our valued customers. 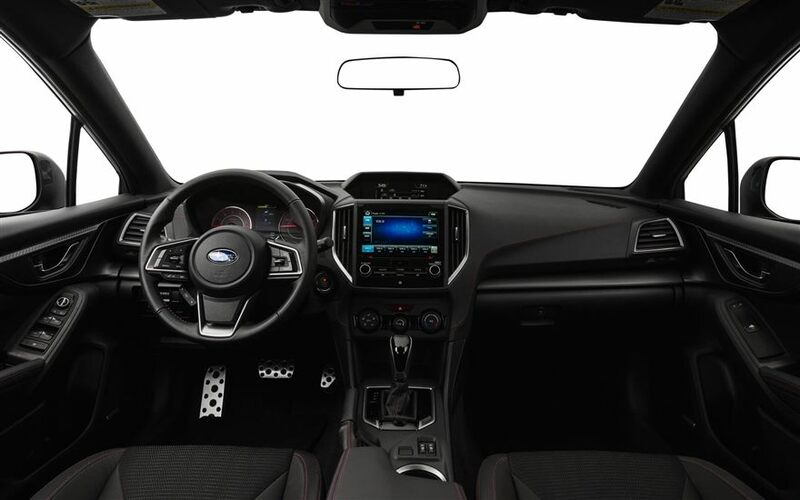 The interior of the 2018 Subaru Impreza is both comfortable and stylish, especially with the changes brought in by last year's redesign. Large doors make it a breeze to get into the roomy front and rear seats that are trimmed out in a classic black or stylish two-tone beige upholstery, available in both cloth and leather. There are also more soft-touch materials throughout the cabin, making for a great tactile experience and the new bezeled accents add a touch of luxury to the interior design. Customers shopping for a 2018 Subaru Impreza near Kansas City will be impressed with the sizable 12.3 cubic foot trunk on the sedan model and the 20.8 cubic foot cargo area on the hatchback, giving you all the room you need to carry anything from groceries to sports gear. The Impreza cuts a sharp profile against the more conventional looks of the other compact sedans thanks to Subaru's unique design aesthetic. Combining form with function in equal measure, the 2018 Subaru Impreza is both reserved and outgoing in its visual profile. Rather than the sharply angled front end designs popular today, the front fascia of the Impreza invokes the facets of a cut gemstone. There are still plenty of sharp angles to catch the light and show off the automaker's skill at bending metal, but they form a convex shape that is gives the small car a sense of mass and stability, which is reinforced by its lowered stance. The front wheels are also further back than on many similar cars, conjuring an image of a car that is always in motion, even when it is standing still. The new Impreza is truly a model that stands out among its competition. Like most Subaru cars, the Subaru Impreza features a unique mechanical architecture that makes it one of the safest and agile compact sedans and hatchbacks on the market. By combining a horizontally opposed engine with a unique all-wheel drive system, Subaru can direct power to all four wheels of a car at all times. Unlike many other all-wheel drive cars, which only move power to the rear wheels when they detect wheel slip, the Impreza is always in its high-traction mode. This design also gives the Impreza a low center of gravity, which reduces body roll and, together with the car's expertly tuned suspension, gives it excellent maneuverability and a very engaging ride. Enthusiasts who are looking to test the limits of the 2018 Subaru Impreza near Kansas City would do well to try out the Sport model, which has an even tighter suspension and incorporates active torque vectoring technology to get even more performance out of the all-wheel drive system. The excellent performance of the 2018 model of the Impreza is based not only on its excellent mechanics, but also on its advanced engine and the choice of two efficient and responsive transmissions. The upgrade to the 2.0-liter horizontally opposed "Boxer" engine that powers the Impreza has boosted its output to 152 horsepower last year, and it is available with both an efficient continuously variable transmission and a crisp six-speed manual transmissions. The manual on the 2018 model gets an upgrade in the form of the short-throw shifter from the high-performance Subaru WRX, giving it additional performance cred. So stop on by our dealership serving Topeka Lawerence Kansas City - Briggs Subaru Topeka - and give try out this quick and responsive vehicle yourself! The 2018 Subaru Impreza is, like all Subarus, an absolute top performer when it comes to safety. Its excellent crash test results earn it both a full five-star rating from the National Highway Traffic Safety Administration, including five stars in every subcategory, as well as the Top Safety Pick Plus award from the Insurance Institute for Highway Safety. Subaru's award-winning EyeSight safety suite is an option on almost all of the Impreza models and includes adaptive cruise control with automatic emergency braking, a lane departure warning with lane control and blind spot monitors with rear cross traffic alerts and automatic reverse braking. The 2018 Imprezas also get a new system that automatically turns on the headlights whenever the windshield wipers are on, adding another layer of safety to this already ironclad vehicle. The new Subaru Impreza is truly an impressive vehicle, offering you new and upgraded technology in almost every category, from safety to performance. 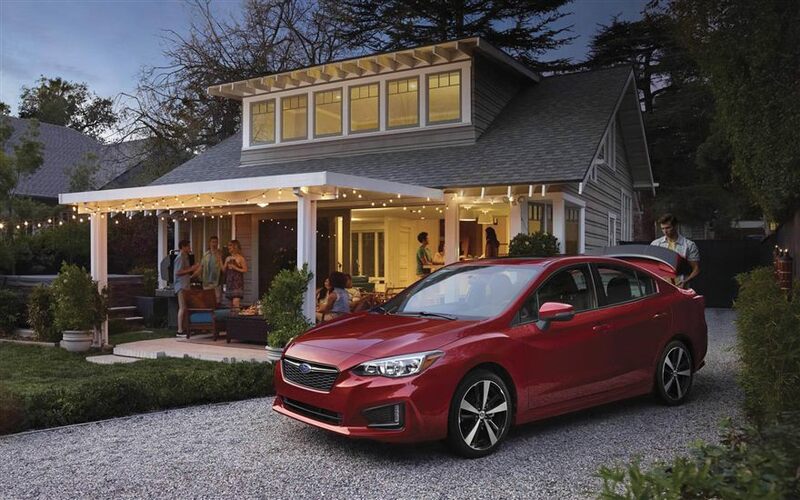 To learn more about the 2018 Impreza and arrange your test drive, give us a call or stop by Briggs Subaru Topeka, which is our dealership serving Topeka Lawerence Kansas City, and see just the kind of advantages that the Impreza can offer you and your family!